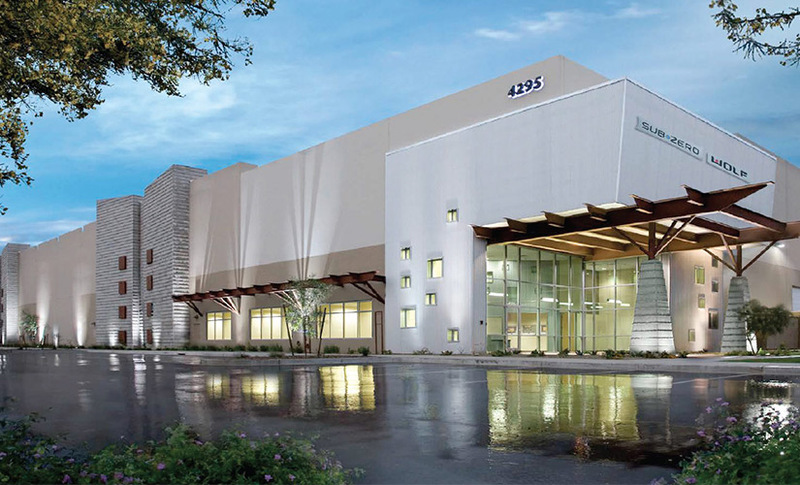 A ±1,600-acre master planned business park located in Goodyear, Arizona that will include ±20 million square feet of industrial, office, and retail space at buildout. 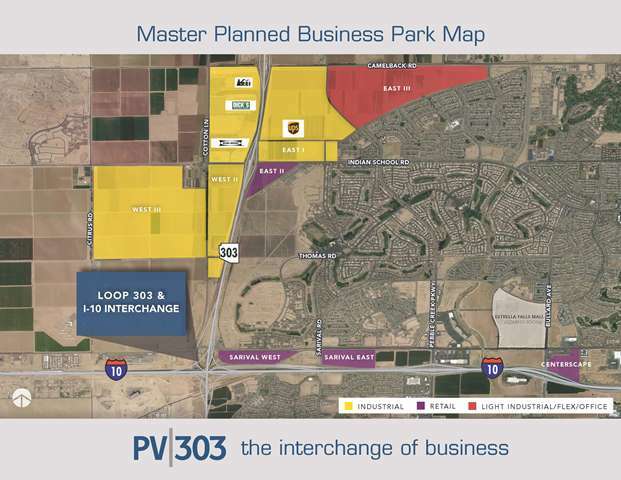 PV|303 is a master planned business park designed to meet the growing demand for commercial and industrial opportunities in the greater Phoenix area. 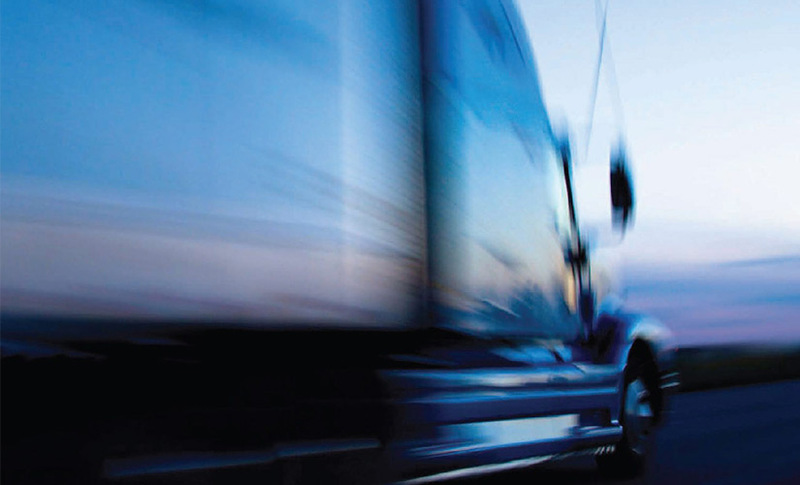 Located at the confluence of Interstate 10 and Loop 303, PV303 is ideally situated to serve Arizona and key markets in the western United States such as the Ports of Long Beach, Los Angeles and San Diego, California; El Paso, Texas and Las Vegas, Nevada. PV|303 is designed to meet corporate users’ unique needs for industrial, office and retail. As one of the largest master planned business park’s in the western U.S., PV|303 distinguishes itself among other markets across the country by offering companies strategic access, a highly visible location, shovel-ready sites, spec buildings, unmatched amenities and business-friendly policies. Arizona is well served by state, federal, and interstate highways, including I-10, I-17, I-40, I-8 and I-19, U.S. routes 60 and 93. State routes 51, Loop 101, Loop 202 and the recently opened Loop 303 connect greater Phoenix communities and tie them to the interstate system. Arizona is home to a relatively new highway system, which tends to be wider than other freeways. 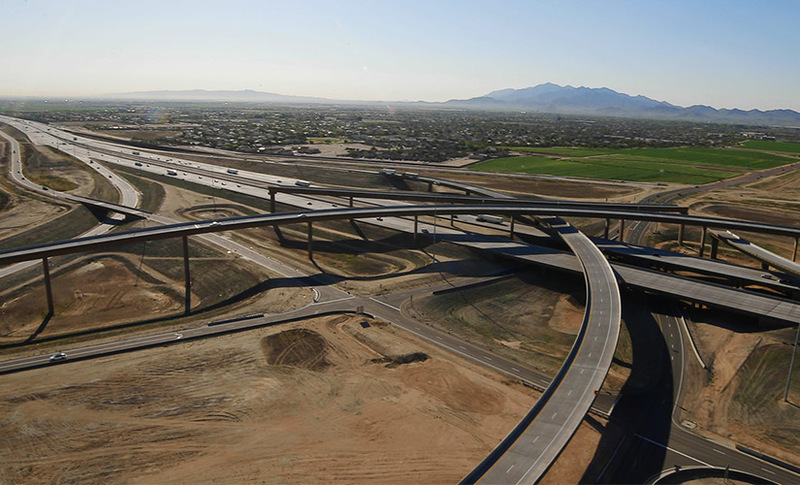 When fully complete, the 35 mile Loop 303 will feature three lanes in each direction, from its I-10 interchange start to its I-17 interchange conclusion. 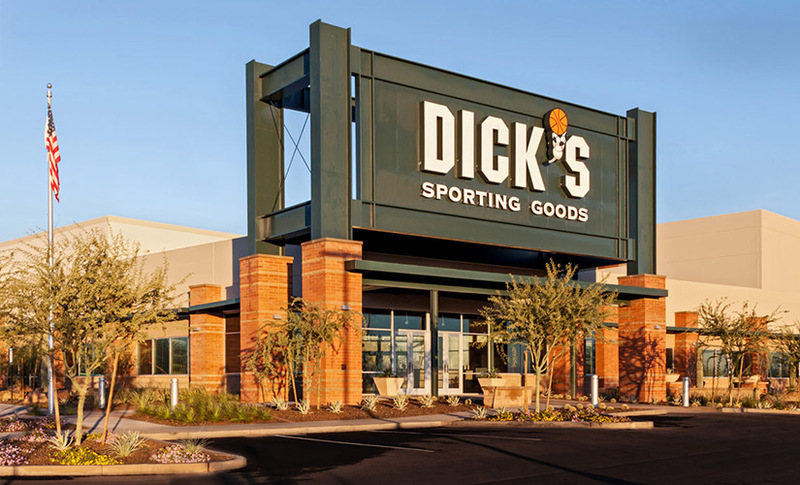 Users located along the 303 will benefit from unparalleled access to the Southern California market, as well as the I-40 and Northern markets Via the I-10 and I-17 respectively. Arizona’s modern infrastructure enables the efficient flow of goods and services for companies doing business here and provides easy access for those who live and work here. The state is home to almost 130,000 miles of highways, 40 public transit systems, two Class I railroads and more than 80 airports. © 2019 Sunbelt Holdings, LLC. All rights reserved.